Nantucket’s historic buildings are the defining elements of our community. They provide us with a sense of place and a link to the past. Restoring a historic building can be a challenge. It is often difficult to know where to begin and who to turn to for assistance and advice. 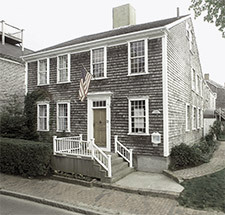 This guide is designed to provide the owner of the historic Nantucket house with a starting point. As you plan your project, remember that a historic Nantucket house is a community treasure, with its own history and set of historic elements. No two historic buildings are alike, and the more you preserve and protect, the more authentic, valuable and rewarding your home will be. Consider the big picture. Why undertake a restoration project at this time? For many people, the answer is that new mechanicals or kitchen/baths are desired or the house is a new purchase and updating is necessary. As a steward of an island resource you will need to accomplish your goals while protecting and enhancing your home’s historic elements. Learn about your home’s history and architecture. Before you begin the work, learn more about your house. Every house has a story to tell—not just who built it and who owned it over the years, but how the house evolved gradually over time to meet the needs of succeeding owners. understanding the architectural evolution of the house and its history is key to proper restoration. 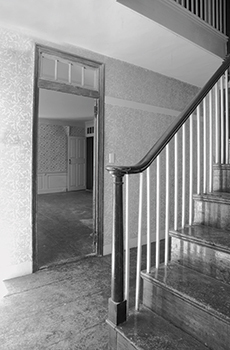 The Nantucket Preservation Trust can help you learn more with a simple walk-through to point out original historic elements and changes, and/or with a detailed house history. Hire an architect and/or contractor who understand(s) your needs and the importance of retaining historic fabric. Communicating your desire to retain the historic feel of your property is essential. A talented and sensitive architect/contractor also can help steer you through a more challenging—and interesting—effort to preserve your home’s character while at the same time make needed repairs and improvements. Limit the scope of repairs. Keep original details. Don’t over-restore. Your philosophy toward restoring your home should be, like that of a physician, “first, do no harm.” Although some historic elements may need attention, avoid unnecessary repairs and over-finishing. Replace only the portion of elements that are damaged. Replications of molding profiles and other elements will help retain your building’s historic character. Keep old wood as much as possible. New wood will not wear like the original, which is denser and will continue to perform well as long as any rotten sections are repaired. Retain the historic plan and features. The historic layout should be retained whenever possible. New kitchen and baths should be added in areas that cause the least amount of damage to original fabric. Defining elements should be retained and can include transoms (that small band of windowpanes above doorways); paneled doors with old hardware; mantels; ceiling medallions; and moldings around doorways and windows, where walls meet ceilings, picture moldings, and chair rails. Other important Nantucket features such as old mirror boards (moldings or woodwork between windows) also should be retained. Keep the winder staircases, which have served houses on Nantucket for centuries and are beautifully constructed. If new stairs are required, consider adding straight-run stairs in new additions or areas outside the historic core. Be cautious in the removable of wings and other elements; rear ells may be original and are often important to the historic character of the house and surrounding neighborhood. Keep the plaster walls. In the past, plaster was routinely torn out—even by well-meaning preservationists—to make it easier to install new mechanical systems and wiring. But grouping those components and snaking them through the walls can be accomplished. Plaster is far superior to modern drywall since it isn’t ruined if it gets wet. It also provides excellent soundproofing, and can be patch-repaired. Take special care with your wood floors. Many people correctly want to retain the old floors in a historic house, but there is a right way—and a wrong way—to deal with them. Old flooring is often over-sanded, reducing the floor’s life span and at the same time destroying its antique character. Old floors were hand-planed, and gentle hand-sanding or chemical removable of paint and finishes is the best way to protect them. Simple cleaning and waxing will retain the old patina, too. Maintain the quirks. Straighten that crooked window or doorway? Not necessarily. Treasure the things that show evidence of how your house evolved over the generations. Your house will be more charming and authentic as a result. It is possible to make structural repairs and still keep those elements that give the house a real Nantucket sense of place. Restore—don’t replace—historic windows. Windows are key elements of old houses. Old windows were made to be repaired, not replaced. Almost all pre-1940 window frames were built of high-quality, dense wood in easy-to-assemble parts. Maintenance of old windows generally involves keeping them painted and in good working order. Old windows can easily be made energy efficient by adding sensitive storm windows and weather stripping. Take special care in repairing masonry. Portland cement is usually not compatible with historic brick, and its use can lead to structural damage and moisture problems that can spread to other areas. Of particular concern on Nantucket are chimneys that have been lined or repointed with cement. The weight of cement can bring down an old chimney and lead to very costly repairs. Repointing mortar with the correct lime mortar–cement ratio is essential and should not increase the expense. Hire a mason who understands the importance of matching the mortar to the old brick. Build new wings “with Nantucket in Mind.” Design any new addition so it is fully compatible with the main core and does not overwhelm it. Oversized additions can negatively affect the streetscape. Read Building With Nantucket in Mind, the architectural design guidelines produced by the Nantucket Historic District Commission. Complete maintenance on a regular basis. Routine maintenance, such as proper paint preparation, will help minimize rot and the need for costly repairs. Maintenance on Nantucket is especially important because of the sea air and damp winters. Address suspected water problems or other issues early to minimize damage.